Violet’s are forever the yummiest really! Especially if it is made from a pure Ube. This is our specialty, Binignit. 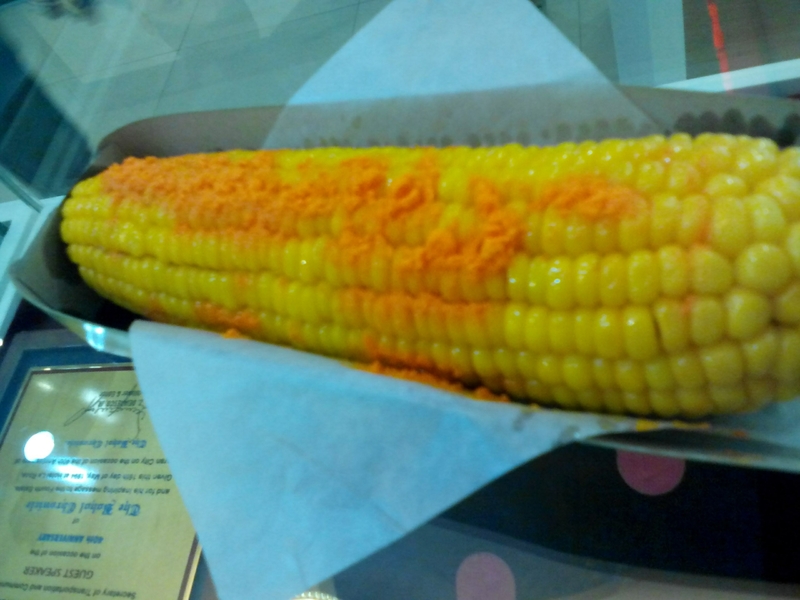 I really Love eating Mais a.k.a Corn, especially when it’s Boiled! Call me whatever you wanted! Nothing can stop me loving this Boiled Yellow Corn in a Butter & Cheese. Yes! I am loving this whole thing of Corn and I don’t like it in cubes, yes there’s also cubes corn which they put it in a cup and you just eat it with a spoon. . no struggle like I have as what you’ve seen in my picture up there. But I still prefer to eat it in whole because you know. . . I feel it much yummiest and delicious while struggling. Hahaha 😁 And the taste of cheese in it! Ooowwwwh!!! I Love Cheese!!! In my dialect “Bisaya” we call this Mais nilung-ag, Nilung-ag means Boiled. Now, how do you eat your Mais Nilung-ag / Boiled Corn? Lot’s of Love from me to you!